n order to fulfill the ever changing demands of our clients, we have been engaged in offering a quality range of HDPE PP Woven Laminated Fabric. Our offered HDPE fabrics widely demanded as these are manufactured as per the prevailing trends of the industry. To ensure the same, we take help of the experienced professionals, who keep themselves aware of the market trends. 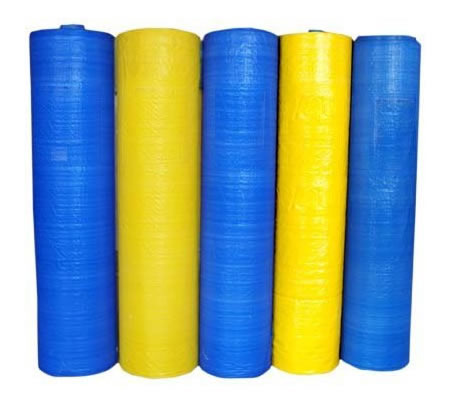 Backed by years of industry experience, we have proved ourselves as a top notch manufacturer and supplier of BOPP Woven Sack and Bags and Polypacking Bags. Our entire range of products includes Flexible Packaging Solutions, Laminated BOPP Bags, Packaging Pouches, BOPP Bags, Food Bags, Handle Bags, Multicolor Printed, BOPP Bags, HDPE Woven Fabrics, Laminated Fabric Bags, BOPP Woven Sacks Bags, PP Bags, PP Woven Fabric (Laminated / Unlaminated), FIBC / Big bags / Jumbo Bags, Sand Bags, Shopping Bags, Leno Bags / Net Bags, Woven Sacks. For the production of these products, we use premium quality raw material, which is acquired from the renowned market vendors. This also helps us in assuring delivery of the finest quality products. Furthermore, our well-built manufacturing unit is equipped with various tools and machinery that help us in producing superlative quality products. Our team of highly skilled professionals regularly keeps a proper check on our manufacturing process, right from the time of procuring raw material till the final delivery of the products. The entire product range is designed according to the prescribed set of parameters that are set by the industry. For the ease of our clients, we provide them with various payment modes such as cheque and DD. Apart from this, our wide network of distribution allows us in making timely delivery of our entire product range.